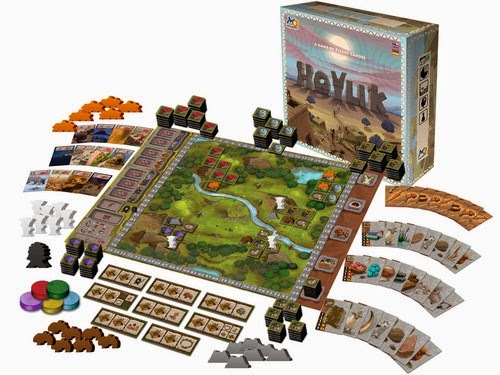 Hoyuk is a fantastic tile laying and set collecting game that has great production quality. The artwork is very nice and the game mechanics are solid and provide interesting choices to be made each phase of the round. Players can't remain on their own in this game either, they must join other players' on different blocks to try and optimize their chance at getting more aspect cards - and in return more building options and sets for points. The game includes rules to play a basic game, medium game, and advanced game. You can also shorten games by choosing to play with a lower number of houses that each player starts with. All these options result in variability in game length and difficulty. On the down side, the game only comes with one storage bag and there is no insert to keep all the tiles separated. You will need to purchase your own bags to keep everything separated out or else you will be faced with a longer setup time to sort everything out. The instruction book is actually really good, but there is a slight learning curve for the iconography of the catastrophe cards. It is also interesting because if you don't have things separated out, it will take you longer to setup the basic game than the advanced game (since the basic game causes you to remove certain things - where as the advanced game you wouldn't need to because you use everything). All in all, I am giving Hoyuk a 7/10. I think it is a really solid game with great game mechanics, artwork, rulebook, and the quality of the components is top notch. 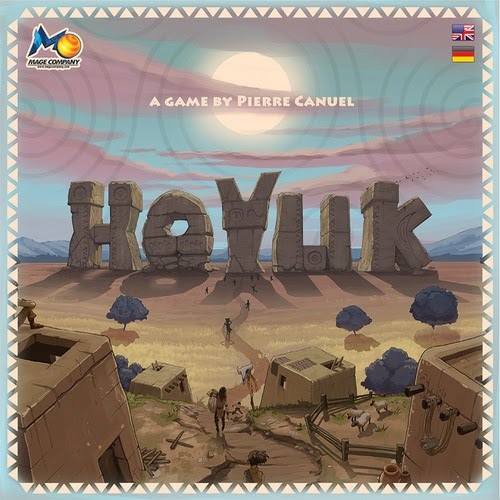 The game really needs some better storage options, but Hoyuk is one that I will continue to enjoy a lot and that is How Lou Sees It! I was given this copy of Hoyuk as a review copy for free from MAGE Company.